One of the most popular VR headsets, the Oculus rift grew popularity quickly thanks to many youtube stars. With highly defined optics and refresh rates, virtual reality has never felt so real. Oculus have introduced unique hand-tracking controllers to revitalize your experience as well IR LEDs to place in the room so you can really feel as if you have entered an entire new world. You undoubtedly pay for what you get with Oculus. The Californian company provide virtual reality like no other with unique ways to immerse yourself while still providing comfort. Not only can you meet characters in your favourite games but can also watch movies, meet friends, and transport yourself to places all around the world! This one is for those who want to do more than experience virtual worlds but escape reality. Comfort has been a key part of design with the headgear being extremely lightweight and perfectly shaped to fit to your face as if you’re wearing nothing; it doesn’t taint your VR experience. With this great attention to detail, the Oculus Rift provides a more comfortable venture than its cardboard counterparts. Unlike many headsets available, the Oculus Rift provides users with integrated, 3D audio to enhance the feeling of distances as you play. Another approach Oculus has decided is the use of IR LEDs to improve tracking; movements will feel so life-like thanks to precision with sub-millimeter accuracy and latency next to nothing. With more ways than one to control the world around you, one has the choice to experiment with hand tracking technology or to play with the well-loved xbox controller. It also includes a discreet remote for simple navigation. The Oculus Touch allows your hand motions to govern the world around you. The remotes include buttons similar to existing controllers; it doesn’t take long for players to adjust. Oculus Rift now boasts a growing collection of games thanks to the addition of the Oculus Touch. With the extra sensor, Oculus has enabled room-scale experiences that make a world of difference when using the headset. Oculus Rift isn't the all-encompassing "future of entertainment," but we're optimistic that it might earn that title in the coming weeks, months and years. The Oculus Touch controllers add impressive finger and hand movement, plus physical buttons for traditional games. 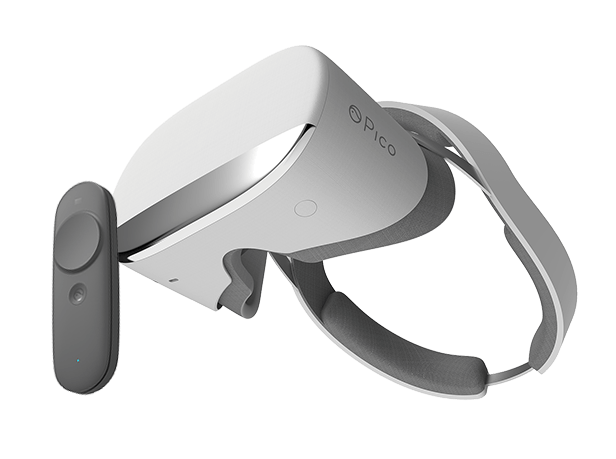 The Rift headset is well designed and compact. A strong collection of software offers many apps to explore.